Gourav Singh returning a lost wallet to its owner in R.S Pura on Wednesday. 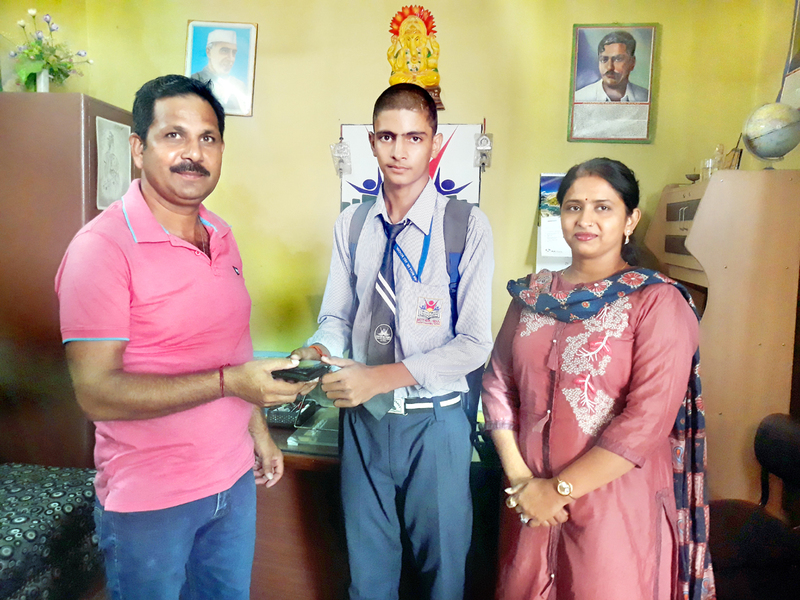 JAMMU, Sept 12: Master Gourav Singh a student of Class 12th (Commerce Stream) of Mother India Sr. Sec. School, R.S. Pura found a wallet on the road while returning home from school. He brought the wallet to his Principal, Sonia Tohra. There were over Rs.10000 cash in the wallet in addition to important documents and cards. Tohra circulated this message on social media and reached the concerned person Parveen Kumar of village Chohala, R.S Pura. 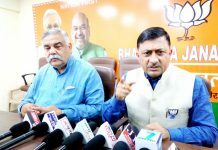 Kumar expressed his gratitude to the Principal and appreciated Gourav Singh for this act of honesty. He also rewarded Gourav Singh with Rs. 500. Gourav is the only son of Babu Ram (a labourer) of village Laiyan, Suchetgarh.